A first in the shuffleboard industry! An attractive table design built with all-weather material for placement outside on the deck or next to the swimming pool! 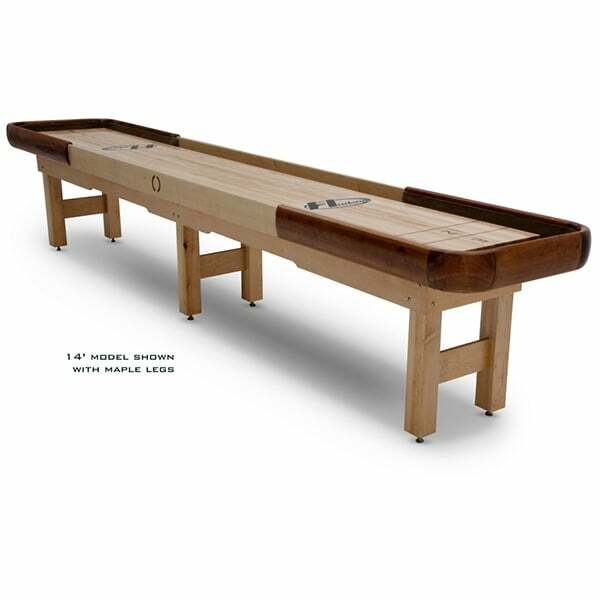 The Cirrus Outdoor Shuffleboard Table by Hudson Shuffleboard is constructed from solid hardwood and showcases a fiberglass-coated playfield and cradle that will stand up to rain, wind, sleet and snow! The gutters are equipped with all-weather marine-grade carpet and drainage holes, so water drains easily out of the table. 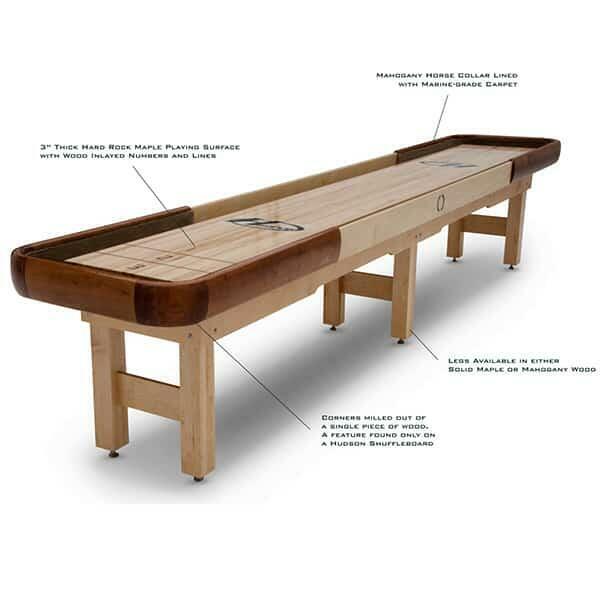 Customize the shuffleboard table size to fit any need; Hudson offers this model in a large, 22' tournament size, all the way down to a 9' shuffleboard table that will fit into virtually any space! Feel safe playing with a trusted name, since Hudson backs each playfield with a lifetime warranty. And the decorative elements of this Shuffleboard Table are second to none, with a cradle and legs of solid Mahogany and Maple. Even if placed indoors in a basement or game room, the styling of this shuffleboard table will awe any visitor!